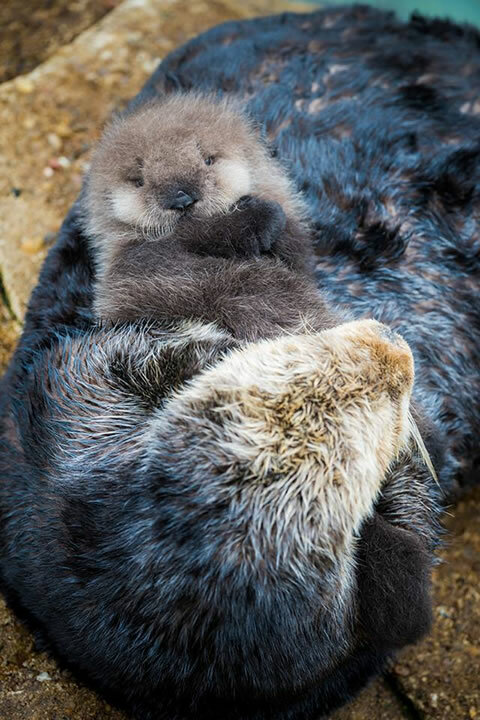 MONTEREY, Calif. -- A wild baby sea otter was born on Sunday morning at the Monterey Bay Aquarium's Great Tide Pool. 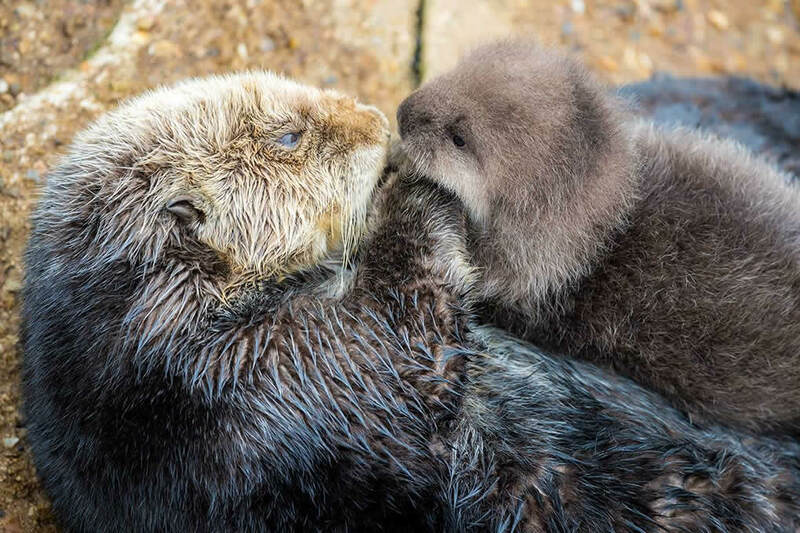 According to the aquarium's blog: "For the last several days, a wild female sea otter had been using the protected basin of our Great Tide Pool to rest from the winter storms. Last night, just as the Aquarium closed, she was spotted once again slinking into the pool for some shut-eye. It's rare for a healthy sea otter to visit the pool so frequently-we started to wonder if she was doing all right." 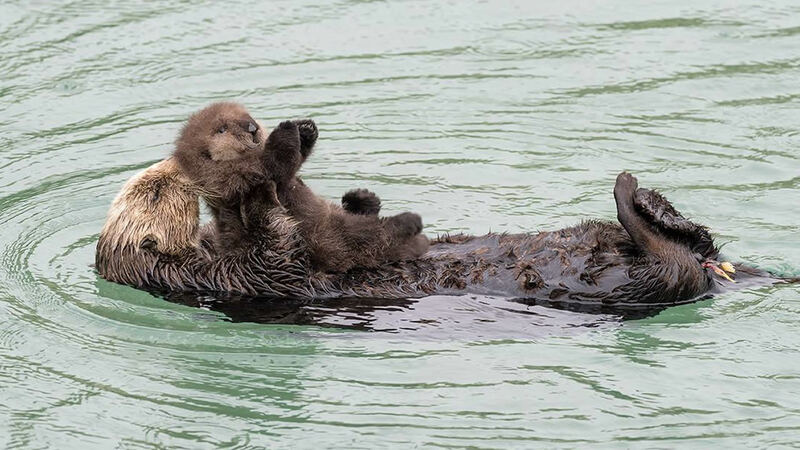 They say staff witnessed the brand new pup resting on the mother's belly around 8:30 a.m.
Aquarium staff, volunteers, and a steady wave of visitors have been watching the two float around the Great Tide Pool. 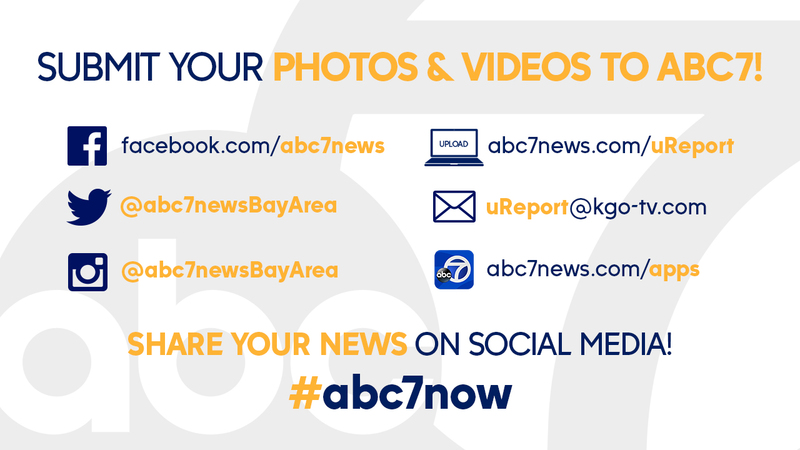 The aquarium notes in its blog that "not that long ago, sea otters were hunted to near extinction. Maybe 50 were left in all of California by the early 1800's. 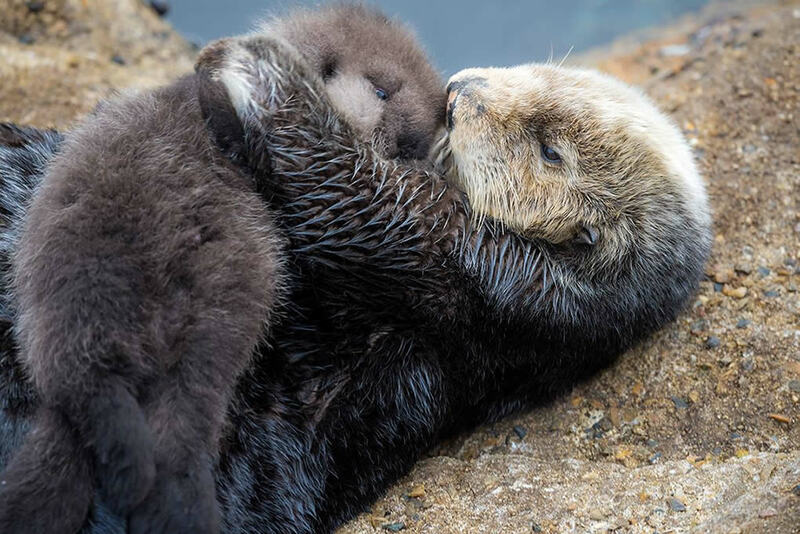 But now, thanks to legislative protection and a change of heart toward these furriest of sea creatures, the otter population has rebounded to steady levels in the Monterey Bay, and with 3,000 total in central California."